Karyn Washington’s unfortunate and untimely passing offers an opportunity for us to reflect on African American women, depression and suicide. In early April 2014, Ms. Karyn Washington took her life after what appears to be a long standing battle with depression. This young woman was a blogger and advocate of self love and pride for African American and other women of color. Though I did not know her, I am always saddened to hear of the untimely passing of a young person, particularly due to a treatable illness like depression. I would like to take the opportunity in this post to talk about the special considerations of African American women and girls struggling with depression and thoughts of suicide. These are often linked — research indicates that up to 2/3 of all suicides are preceded by bouts with depression. My goal today is to highlight some of the unique challenges faced by African American women and girls struggling with depression and thoughts of suicide and to offer recommendations for tackling these issues based on my clinical experience and research of the past 15-20 years. The myth of the “Strong Black Woman”: Often African American women are socialized to undertake signficant obstacles and deal with inordinate amounts of stress. This is all in the name of upholding the image of our ‘women warrior’ ancestors who struggled with a host of issues related to racism, discrimination, gender bias and others. The myth of the “Angry Black Woman”: Many African American women encounter psychological impacts (like stress, discomfort and even somatic symptoms) related to managing racial stress, gender discrimination, unequal pay, microaggressions (a term coined by Black psychiatrist Chester Pierce) and the like. Often the passionate, verbal outrage they express when challenging these types of injustices leads to the label of “Angry Black Woman” and carries significant consequences. The myth of “The Invisible Woman”: Too often, African American women (like many women of color) face the challenge of “fading into the woodwork” if we do not consistently push our concerns to the forefront and advocate for ourselves. This phenomenon has been addressed in the literature as the issue of “benign neglect” or colloquially as, “the squeaky wheel gets the grease”. It can be quite taxing, demoralizing and depressing to watch others advance professionally at faster rates than we as African American women do. Over time, these cumulative experiences can lead to stress and depressive symptoms like hopelessness and helplessness. Work/life balance: Many women describe the challenges associated with carefully managing their professional and home lives. This includes issues like co-parenting, living in the “sandwich” generation (i.e., caring for their children and parents concurrently), balancing dual careers, etc. For African American women, who are disproportionately rearing children as primary providers, these stresses are compounded. Stigma toward mental illness: The high stigma associated with mental illness impacts women as it does everyone in our society. Unfortunately, for African American women, many feel they must uphold their “unbreakable” façade (see “challenges” above) only compounding the stigma. When African American women strive to overcome the challenges they face, in the absence of accepting and courting support for our efforts, we can develop depressive symptoms that necessitate professional help. When we elect not to seek help because “professional help is for ‘crazy people,’” or so the saying goes, we can worsen our concerns and negatively impact our well-being. So What Are Potential Solutions? Know your baseline: This is something that I tell women, men and youth when I speak publicly. It is imperative that we identify how we feel (physically, psychically, emotionally) on an average day when we are not stressed to know what our “set point” or “place of peace” is. To learn our “baseline” we must take time to find a quiet place and breathe deeply for some portion of the day. We use this practice in mindfulness meditation to help bring ourselves into the present and lessen the impact of stress and anxiety. Prayer and faith: Our research with the AAKOMA Project indicates the importance and utility of prayer and faith for most African Americans. The prevalence of faith-based coping is evident in my clinical work with African American women and girls. Giving up some small portion of responsibility for the stressors that one encounters as a woman and person of color can help reduce stress. Participating in the research enterprise: This one may sound a little far fetched, but as a community and patient engaged researcher, I know that learning from my depressed patients and their families informs my research. Patient input is key to ensuring that new treatments for depression are culturally and gender relevant. Seeking professional care: In 2013, I participated in a groundbreaking invited conference hosted by SAMHSA focused on African American/Black mental health. I learned of the work of mental health professionals nationwide who are very invested in culturally relevant and effective clinical care. Should we choose to seek care for ourselves to address depressive disorders and suicidal thoughts, there is an encouraging variety of clinicians and approaches available to African American women and girls. If you or someone you care about needs help with depression or suicidal thoughts, call your healthcare provider, seek care from your community health center or look into the resources offered right here on the APA website under the Psychology Help Center. Depression is a treatable illness, even for African American women. 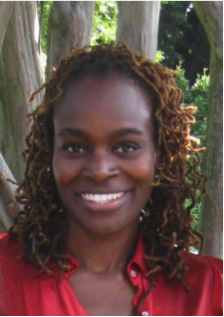 Dr. Alfiee M. Breland-Noble is Director of The AAKOMA Project, a member of the APA Depression Treatment Guideline Development Task Force, member of the Patient Centered Outcomes Research Institute (PCORI) Addressing Disparities National Advisory Panel and is a clinical researcher in the Department of Psychiatry at Georgetown University Medical Center. A must read from Dr. Alfiee Breland-Noble regarding Karyn Washington’s passing. Because there is no public health without mental health. #mhblogday. Reblogging “to highlight some of the unique challenges faced by African American women and girls struggling with depression”.